Near the end of this post, you will learn more about why I posted the image above. I have been providing some advice to "a mom with a camera" that wants to be a part-time photographer to bring in some extra money for the family. Like most good moms, her top priority is her children. For the rest of this post, I will refer to her as "Jane." Jane is currently charging $60 for a 60 minute session with 20+ photos on a CD. She has two thoughts on this price point and package: 1) I was the mom that couldn't afford photography and I don't want to be that photographer that charges too much. 2) I want to charge a low rate to help me get work to build up my portfolio. Although I understand both, I have advice to any photographers thinking like this. There will always be someone cheaper including someone shooting for free because they just love photography and want to help people and/or they are trying to build a portfolio to start charging for services at some point. Furthermore, price is relative to Jane's target market because if Jane is providing services for under $100, Jane will attract that market. I personally know a veteran photographer that charged $6,000 for family portraits and the client said that she could not recommend him to her friends because he was too cheap. Now how's that for price? With that said, I'm not suggesting someone go from $60 to $6,000, but below is another more relevant example. One of my headshot clients asked me about family portraits which I don't do, so I recommended a photographer that I know that does a 90 minute session for $300 or a 1 hour session for $200. To help me gain better knowledge of pricing in the Raleigh market, my headshot client told me that she had been getting quotes from $150 to $700. She further stated that she didn't want to go with the lowest or the highest and was looking for quality at what she felt was a fair market price. Again, this is just an example, but it's a real world example for the Raleigh market. The opinion among the photography community will vary tremendously about how to handle building a portfolio. My take is just one opinion to consider. Jane should find a few people that she knows to photograph completely FREE and tell them that she needs to build her portfolio in order to start charging for her services. Let them know that she will likely charge ____ which is a fair market price based on what she knows about the area, but for now, she is hand selecting a few people to work with to make it a Win-Win. The flip side of this is that $60 is Jane's discounted rate (or whatever that number is) but that her regular rate is _____. In both cases above, the goal is to charge what Jane is worth based on the market pricing of the area and based on the market that Jane wants to target. If Jane charges $60, she will continue to attract $60 clients, but for Jane, those who consistently pay $350 for what she is offering will likely never do business with her even if her work is great because their perception is that Jane is too cheap. In closing, Jane will need more equipment and Jane's time is valuable. If Jane prices her services like a minimum wage employee, Jane will set herself up for failure. Jane should be charging enough to buy near gear along the way and actually have some extra money to live off of to help support her family. The average hourly rate for a photographer is $18.44 an hour in the US. But Jane cannot take that $60 session for 60 minutes and say she is making $60 an hour. Jane has to calculate everything involved in her part-time business and she also has to calculate all her non-revenue generating time to build her business. To truly make the average hourly rate of $18.44 after all expenses, Jane will have to charge a lot more than $60 for a 60 minute session. Let's say Jane works in her business 17 hours per week and wants to average $18.44 per hour which is around $315 gross per week for all her efforts in those 17 hours. How many of the 17 hours is actually revenue generating hours? Let's say Jane does (3) sessions in one week that take 60 minutes to shoot, 90 minutes to do some basic edits to a CD ( remember there is loading time, editing and exporting and this example assumes the editing is color and exposure correction not detailed like my wife who will spend 30+ minutes on one image ) and 60 minutes for driving and client communication. In this case, Jane has put 3.5 hours in per session x 3 sessions for a total of 10.5 hours leaving the other 6.5 hours as non-revenue generating time to build her business. In this simple example just to get Jane thinking about calculating her rates to make the $18.44 per hour, Jane would have to charge $105 per session not $60 to average $18.44 for 17 hours worth of effort. This example is simply to get anyone reading this to think through things in more detail. There is so much more involved than just this simple scenario. In this example, where's the room for new equipment, marketing, insurance, etc. etc. etc.? Jane might need to use $38 as the hourly rate which is twice the average wage and charge $210 per session not $105. Ah, that should be an eye opener. 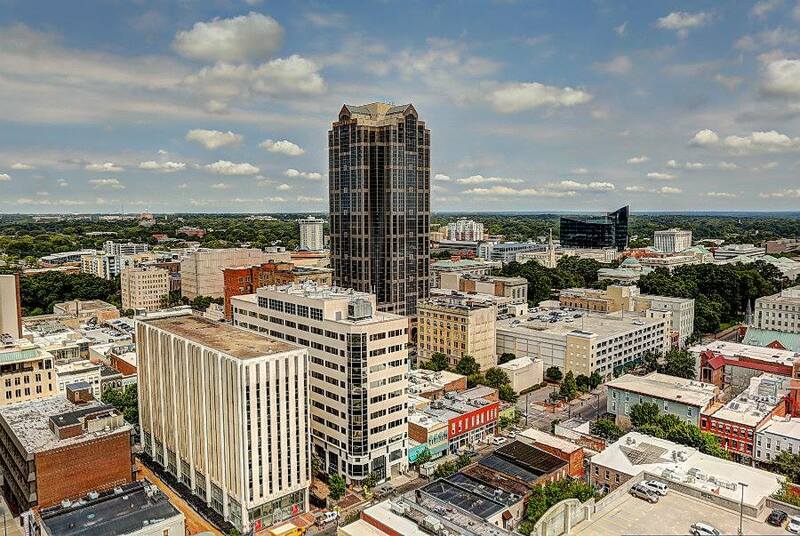 The image at the top of the page was my view from the 23rd floor of a Luxury High Rise Apartment building in downtown Raleigh for an Executive photoshoot. My target market is executives, businesses, corporations and other commercial type photography and video. That doesn't mean that they all have unlimited budgets because they don't. I simply know my market well enough to know where the price points are in order to make a full time living doing photography. If I had of quoted this executive $60 to go on location to do his shoot, he would have wondered why I was so cheap and likely never hired me because something just didn't sound right. My take on my personal example above is that I'm not showing up with $10,000 worth of gear and an assistant for $60. Is Your Photography And/Or Video Business Scalable Or Limited By Just You?